Express Support is our fast-track support service. To get started please click the link below that most closely describes the problem you are having. 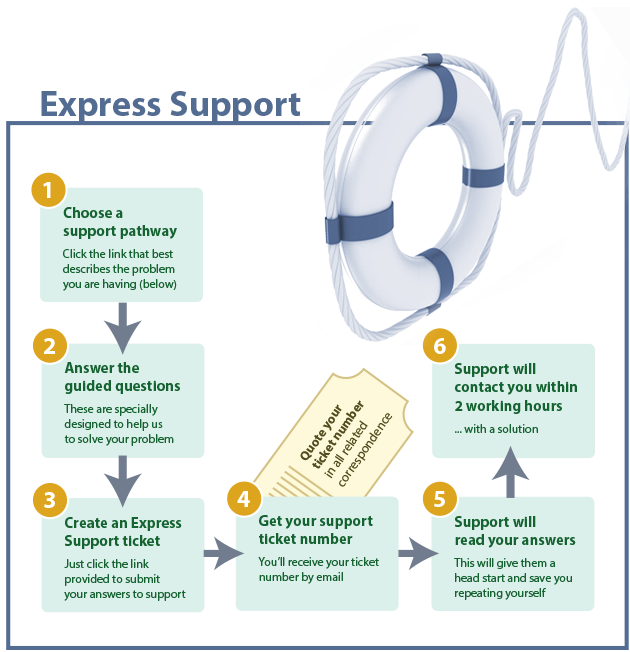 Fill in the form that follows to create an express support ticket. The more accurately you can describe the problem the easier it will be for us to solve, or to point you in the right direction. Over the next few months we'll be expanding this section so that it contains solutions to the most common problems experienced by our customers.